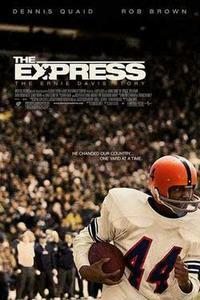 Born into poverty, Ernie Davis (Rob Brown) overcomes many obstacles to get into Syracuse University's football program. Under the guidance of Coach Ben Schwartzwalder (Dennis Quaid), Davis becomes one of the school's best players, even surpassing Jim Brown's achievements. In 1961 Davis becomes the first black player to win the Heisman Trophy, but there is one more obstacle in his life that he must overcome.